This fast-paced arcade game will keep you on your toes as long as you manage to stay alive. As hungry wraiths close in from all angles, you’re constantly planning your next split-second move to safety and treasure. 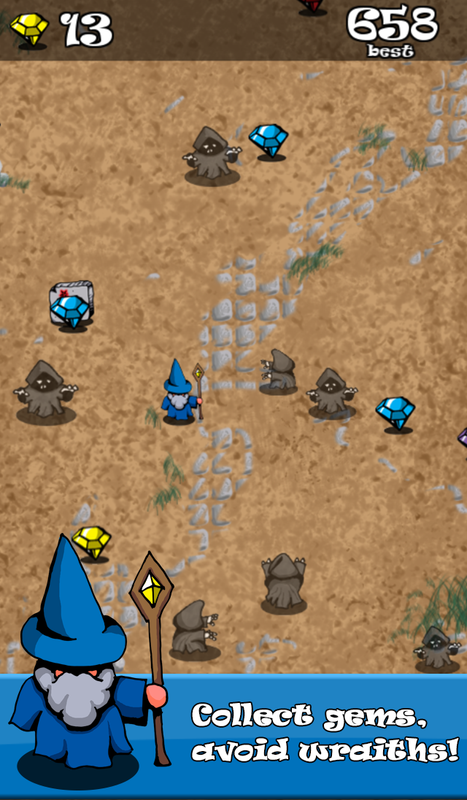 Quickly collect gems and cast spells to blast away enemies. Use your gems to travel to distant lands and unlock new disguises with unique MEGA spells. See if you have what it takes to unlock them all! The one and only Golden Gorilla is now available! 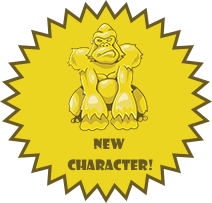 Once the Wiz morphs into the gorilla, you can use his special abilities to beat your high score! Get more involved with the community and come be a part of the conversation on our forum page.